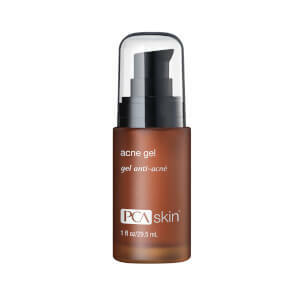 I love the PCA Skin line, but this particular product not so much. I've used it for almost 6 weeks and haven't seen any positive results, no glowing skin or rejuvenation of any kind. I have seen my face break out horribly especially around my chin area and who ever said they love the smell of this stuff has got to be kidding because it doesn't smell good...at all. I was really looking forward to a positive experience with this skin serum especially for the price, but it's definitely not for me. I like it since first time use and it was not allergy for me. Really rejuvenated my skin. My skin looks softer and more even. Would you recommend this to women of all ages? I'm in my early 30s and have some minor wrinkles around my mouth plus the fine lines under my eyes. I've used Origins products for over a year and really like those, but I would like to switch it up. I have sensitive skin - oily by the end of the day, dry right after washing, and susceptible to minor breakouts or occasional pimples here and there. Would this be a good product for daily use to moisturize and prevent further signs of aging? Any other recommendations ladies?? Another great product from PCA. I could see results immediately. My skin looked more firm and smooth. This smells so good, and it give you a 'feel good' tingly sensation. I put some on my boyfriend one night (he is a surfer and has a lot of wrinkles and often gets minor sunburn), he LOVES it. He asks me to put it on him every night now. He's been using this with the Eye xCellence for about a week now and a couple people have noticed improvement in his skin. It looks less tired and more hydrated. This product smells wonderful and feels wonderful and leaves my skin noticeably firmer with less fine lines. I look forward to using it twice a day. I use phase 25 ExLinea around my eyes, on my forehead and around my mouth for a little extra support to these areas. Now that I have used PCA Skin for a few years I see no reason to try anything else. I am very satisfied with these products. Phase 23 A&C Synergy is the finishing touch for a healthy glow. I love this product - non-greasy and firming!! I would recommend it to anyone with sensitive skin also. This product not only feels good on your skin but does a wonderful job of firming. I've tried numerous products for my skin. For a couple of years I used SkinMedica's Recovery Complex. I found it to be a good product with visible results only if used twice a day. I kept seeing the end of a very expensive bottle. Interestingly, with experimentation and an assortment of other targeted products I can achieve great results using pHaze 24. Yeah!